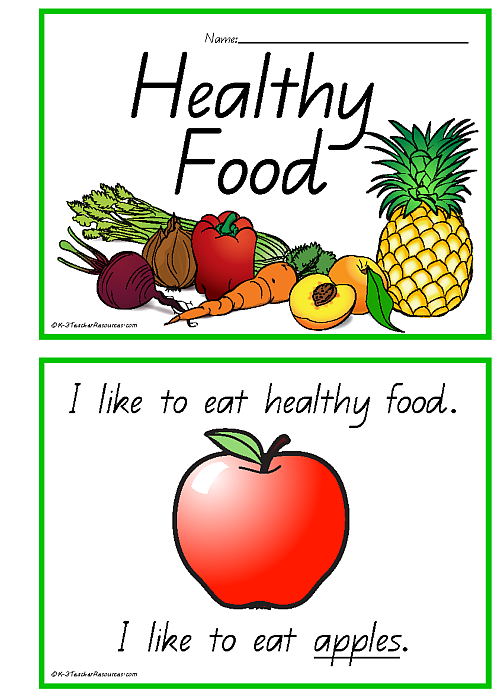 Concept Books – Children fill in the healthy food – nutrition words. Ideal for nutrition lesson plans. Ideal for Teaching Reading and Writing in the Early Grades….